We make it a policy to ensure that all optometrists and staff members are up-to-date on the latest optometry technology and optometric techniques to make your visit to the optometrists as comfortable and effective as possible. Our doctors are caring and highly trained professionals. We strive to provide our patients the personal attention they deserve from start to finish. I – Integrity: To practice our profession at the highest level possible in a clean and safe environment while abiding by the oath and ethics of patient care. C – Compassion: To provide a family-friendly environment with an emphasis on professionalism, compassionate care, and a holistic approach to providing eye care for our patients. A – Accessibility: To make ourselves accessible to all our patients whenever they may need our assistance. R – Responsibility: To render eye care services in a timely and responsible fashion that meets our patients’ needs. E – Education/ Training: To continually train and expand our knowledge about modern eye care technology that best meets the needs of our patients. Optometrist, Doctor Kunle Oluwadare, O.D.,M.S. 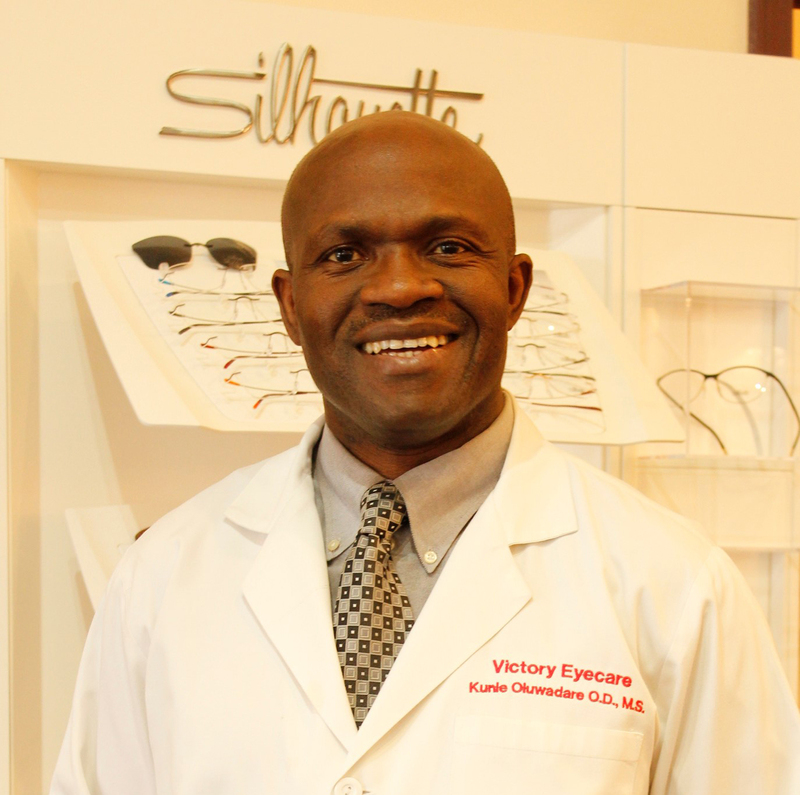 Doctor Oluwadare earned his doctorate degree and masters degree from the Pennsylvania College of Optometry in Philadelphia where he received a citation for clinical excellence in low vision rehabilitation at the William Feinbloom Low vision center. He enjoys practicing full scope optometry, including comprehensive family eye exams, diagnosis and treatment of eye disease, and specialty contact lenses. He is a member of the American Optometry Association and Rotary Club International. Doctor Oluwadare is very passionate about providing quality eye care for children. 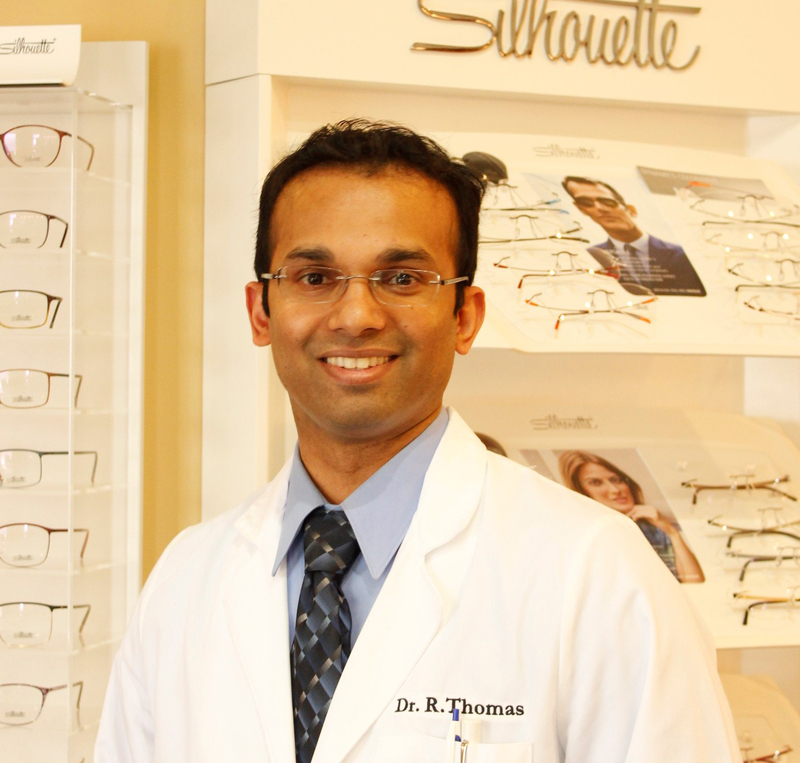 Optometrist, Doctor Rajan Thomas, O.D. Doctor Thomas is a graduate of the Pennsylvania College of Optometry, where he earned his Doctorate in Optometry. He has completed his training with many renowned facilities, including the Naval Medical Center in San Diego, Albert Einstein Medical Center in Philadelphia, Bergen Medical Center in NJ, and The Eye institute of Philadelphia. He specializes in pediatrics and glaucoma disease management, as well as primary eye care. He is a member of the American Optometric Association and a member of the Georgia Optometric Association.